ADT is a longtime favorite in the industry for top rated home security systems. This company is one of the biggest companies in the security market, and as a result, is able to give customers much more sophisticated technology than their competitors. This company has managed to completely integrate into the cellular app scene, partnering with the best telephone companies to bring you the most integrated modern home security experience money can buy. 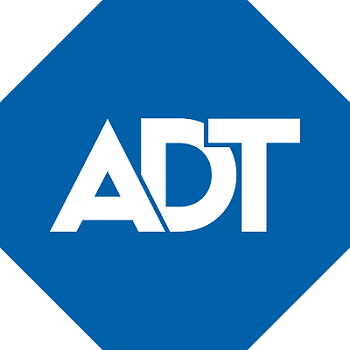 ADT has been in the security game for 140 years, making them the oldest player on the market. Their expertise comes as a result of experience: they know what works. The company works to ensure you have the most up to date and professional experience while protecting your home. Its main offers are ADT Pulse and CellGuard, which offer cell phone access and monitoring, respectively. They use a multi-layered approach to security in order to keep your home under constant surveillance. Plus they boast same-day installation of all of these devices in most areas. ADT is the largest security company on the market and perfect for you if you need 24/7 protection, professional installation and monitoring, medical response or full home automation features. They have a solid reputation so you know you're in good hands. ADT Pulse lets you disarm and arm your home as you please. Just connect to the internet from any device, and you have control at the touch of your fingertips. You can even set it so that you receive email or texts throughout the day when you are not home. If anyone is supposed to come to your house at a certain time, you can even set it up so that you get an alert when they arrive - an especially attractive feature for customers with children. ADT has been working since 1870 and as a result, has over 6 million consumers in its network. It is safe to say they are one of the first companies to take a serious look at the home security industry. There are four monitoring stations working for ADT around the country. For any section of the country that experiences a power loss or any other disaster, the remaining three can support your home system so that you are never disconnected in the event of an emergency. Also, your security system is connected to a cell network instead of a landline or broadband, meaning that you don’t have to purchase a phone in order to be constantly connected. You are offered this protection through the CellGuard features ADT offers. The obligatory initial fee is $99.00 for customer installation fee and purchases the alarm monitoring charge when you first get ADT, and they throw in the wireless system for free. This also comes with a security review, and lets you customize it to your specific needs. Be wary, there are conditions that apply and there is a termination fee as well. If you are considering which home security system will work best for your lifestyle, ADT home security is certainly worth considering purely based on their reputation and long-standing presence in the home security industry. They offer some basic home security packages that can be fully customized to include any feature you want. Traditional service featuring 24/7 monitoring for burglaries, flood, fire, carbon monoxide, and temperature of your home. ADT Pulse features traditional service options with added real-time text and email alerts and the ability to remotely arm and disarm your system. Free equipment with options to include the latest home automation features and live video feed to your home.